As a shiatsu practitioner and a massage therapist I have been gradually developing ways to incorporate the transformational, powerful effects of shiatsu with my normal deep tissue oil massage. I am now very excited to introduce to you Meridian Massage this is a new way of working focusing on the meridians and our energetic body using an oil massage. Through working with both the meridians and acupressure points a meridian massage can go deeper into the body, connecting to not only the physical body of muscles and joints but also working with the energetic body, thus strengthening the flow of energy around the body. I have also included using a specific blend of flower essences chosen for your individual needs to help bring balance to your body. 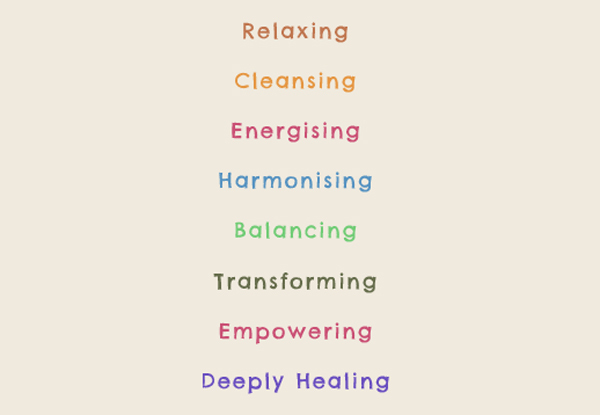 These meridian oils have been developed to work with imbalances within our body’s energy in relation to the five elements and can help along with the massage to support deep change within the body. This treatment has a deep and profoundly beneficial affect, allowing for deep relaxation, reviving depleted energy and soothing away aches and pains. But don’t just take my word for it come and experience for yourself! The treatment is a full body massage and includes time for a short consultation. Each session costs £45 and lasts for 1 hour 15mins.